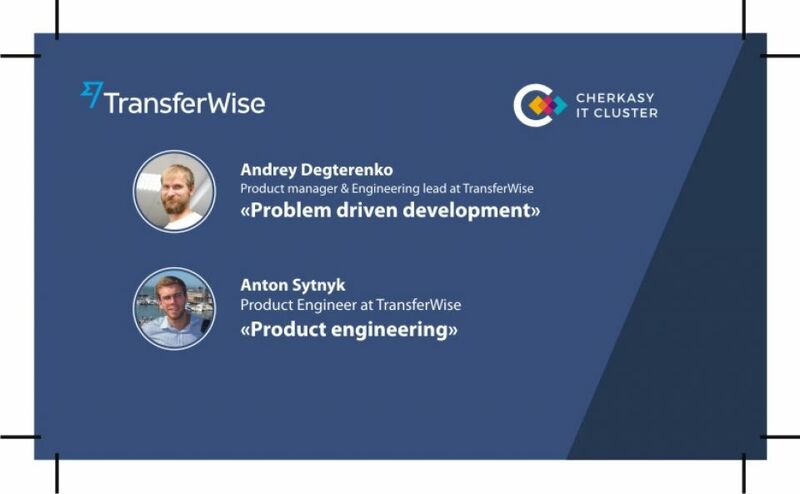 Друзі, ми дуже раді анонсувати мітап компанії TransferWise за партнерства Cherkasy IT Cluster! Вже 15 листопада вас чекатимуть 2 спікера: Антон Ситник (Product Engineer at TransferWise) і Андрій Дегтеренко (Product manager & Engineering lead at TransferWise). Description: “Product Engineer” is widely used term across the IT companies. But there is a different meaning of it. Anton will shed more light on the topic, sharing one of the possible ways of explaining it. Description: Andrey is a product manager at TransferWise who joined the company as one of the first engineers. He is going to talk about product driven engineering approach which was used in TransferWsie during his almost 6 years working at this company.